Welcome, 'Fetti Fans to Day 1 of the January Release for Reverse Confetti! 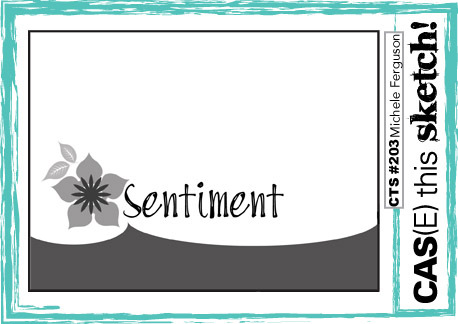 we're also releasing a new stencil, new patterned paper & four new colours of cardstock & ink! with coordinating Confetti Cuts called Cured. in versafine onyx black ink and heat embossed them in clear. and cut it out by hand. I adhered my panel over a piece of the new True Love 6x6 pattern paper pad. You have until Thursday, January 12th to link up your card. Next, I have some exciting news! 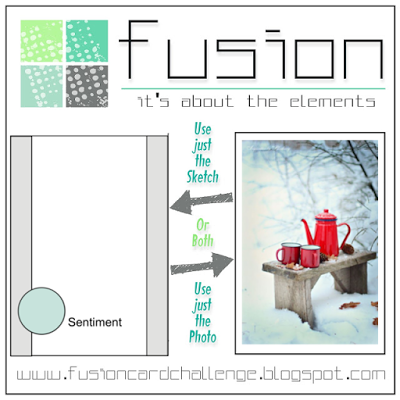 I was asked to be a guest designer this week for the Fusion Card Challenge! and stamped my sentiment from Cured onto it. in versafine onyx black ink and heat embossed it in clear. it in using my Zig Clean Colour Real Brush Markers and a water brush. which I diecut from Stone Cardstock. which I diecut from black cardstock. Thank you ever so much for being my GD over at FUSION! Your card there, as well as the others: *Squeal*! Your piggies are adorable! Fabulous showcases of this new release! First of all...how can you go wrong with the new colors of paper & ink...shades of pink is like a view into heaven! 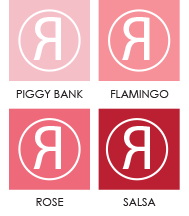 Also pink /red with black & white is so very classy! 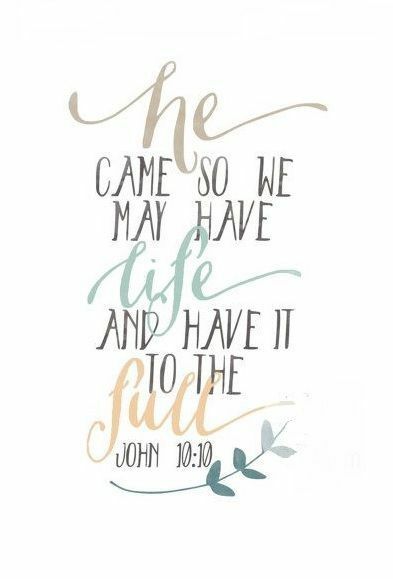 Fun use of the word paper in this...love it. These are all so cute, Leigh! I love the sweet scallop border detail on the first card! Love all your cards today. I'm really liking that black design paper with the white text... so eye catching ! Oh my gosh!!!! Those piggies are adorable. I am sure I need this in my life. Adorable card too! So darned cute. 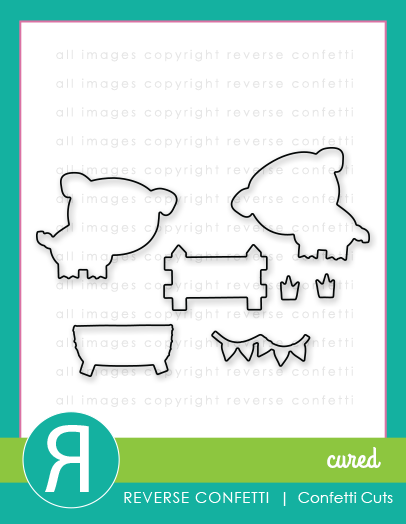 I like that you showed us several cards so we can see what can be done with this adorable set. I like your muted style. That little piggy is adorable!' Your cards are as cute as can be! What a cute stamp set! I love the first card especially. Great border! Love the cards you've created with the new collection! Love your heart border and how you cut around it. It could be the trim on a curtain coming down (or going up) on a stage. Anyway, I liked the look. I just LOVE these little piggies!!! The cutest ever! Love these sweet cards! I LOVE your cards, Leigh! These piggies are so adorable and lovable! Thanks for some fun inspiration today! Cute cards Leigh. I can wait for the new release. Like the new tall panel and the other heart die cuts. Such fun cards, Leigh! That pig is just delightful! Thanks so much for taking the time to guest with us at Fusion. It is so appreciated. This little piggy is adorable and so are all the cards he appears on! This little pig went to CTS, this little pig went to Fusion, and the last little pig stayed home. They are all so cute, Leigh. Three sweet and fun cards, Leigh....really love the heart border along the bottom of the first! All of your cards are delightful! I really love the last one and how you used the script paper (my fave from this new pad!). Leigh - those are cute cards! Love the colors and the tall stripe panel! What a great interpretation of the design sketches. Very impressive! Love the RC release items so much. Can't wait! Great use of the sketches. ..so cute. Such a cute design! Love the new printed papers! Very cute piggy cards. I like the heart border on the first one. Squeal!!! These little piggies are adorable! CUTE cards Leigh! Such fun cards with the "Cured" set. I love how you used the black and white patterned paper. I love these pigs and this paper pad....straight to the top of my wish list. Your card is super-duper awesome Leigh. It will definitely brighten someone's day who receives it. 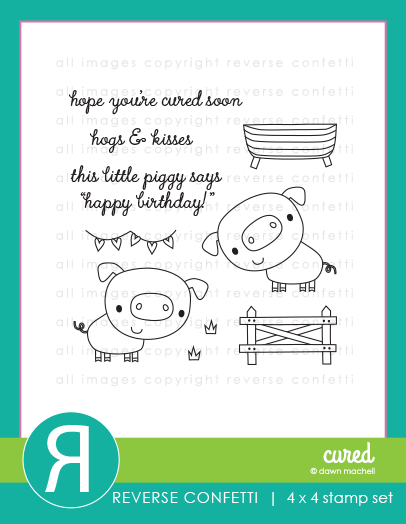 Such a cute little piggy - fabulous cards! Great cards and great layouts. 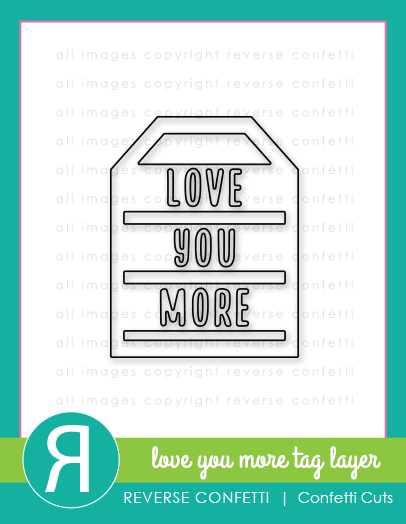 Love-Love-Love the new "cured" stamps and dies. LOVE the new pattern paper and the precious new colors too. So bright and vibrant and pastel-y. Love it! I'm over the moon in love with this sweet release, Leigh, and everyone did such an amazing job. I'm so grateful for your participation in this hop. I love everything I've seen. Three wonderful cards! All so sweet! Gotta love these cute piggies! Oh my goodness, I don't know where to start, Leigh!! You have so much creativity!! I love how you used the challenge for your first card - it looks like the piggie is skipping along - so adorable!! 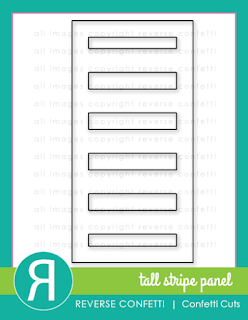 And the last card with the tall stripe panel makes it look like it is accenting certain words in the patterned paper - so cool!!! 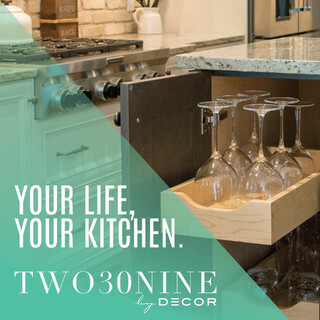 I just adore all of your projects and your ideas! What a darling new set! Your piggy cards are adorable, Leigh!!! All of your cards today are super cute! I love the new little piggies! 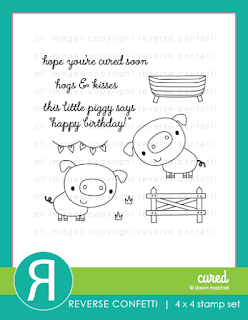 Three adorable little piggie cards! Loved that first one with the scallop and banner especially!! 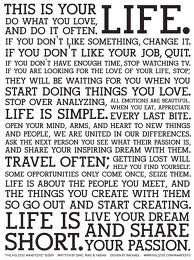 Amazing inspiration! Those pigs are just too cute! Cuteness overload!!! Love those adorable little piggies! 3 cute little piggy cards! 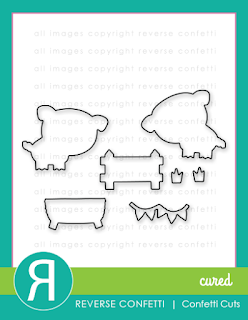 what fun new stamps and dies! Oh, that little piggy is just tooooo cute, Leigh! Love how you used him in the sketch. So glad you joined in the 3rd Anniversary fun @ FUSION Leigh! 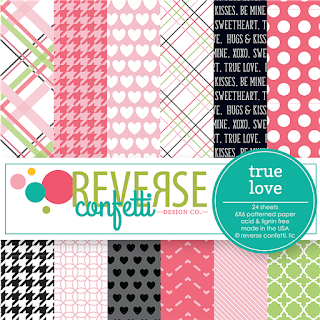 LOVING this gorgeous release from Reverse Confetti too!! !